The first panel I arrived for was “Personal Innovation: Taking the Leap & Destroying the Fear.” Claudia Chan moderated a discussion with panelists Suparna Bhasin (She Creates Change), Elena Brower (Virayoga), Gabrielle Bernstein (Motivational Speaker & Author), and Lauren Ruotolo (Hearst). 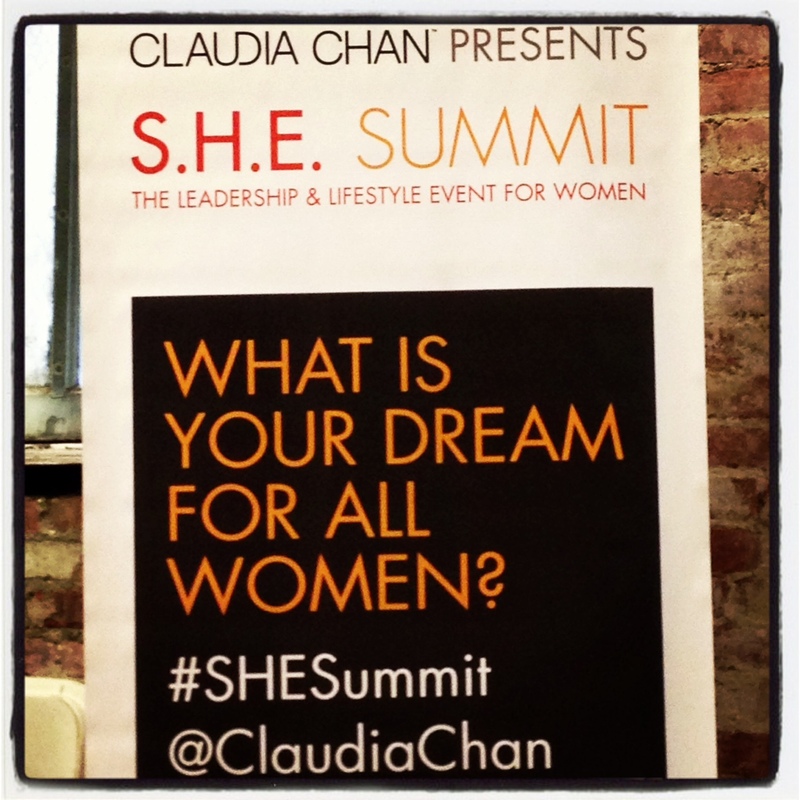 Topics ranged from personal practices for maintaining a strong inner self to finding your purpose to dealing with toxic relationships.
.@claudiachan talks about starting Shecky’s in her mid-20s & finding her calling – helping women find purpose – much later. One conversation at a time. Meeting someone where they are, truly engage, listen. Think & create. This was followed by another panel: “The New Business Model: Social Good Required.” Panelists included Meena Mansharamani (GoGo squeeZ), Sabrina Dupre (Breast Cancer Research Foundation), Natalia Oberti Noguera (Pipeline Fellowship), and Rachael Chong (Catchafire). There was a lot of discussion about social good, social entrepreneurship, non-profit vs for profit business models (among others), pitching, and volunteering. After lunch, John Gerzema gave a presentation based on the research in his book, The Athena Doctrine. “The Athena Doctrine: How Women (And the Men Who Think Like Them) Will Rule the Future” presented statistics about the changing face of leadership and shared success stories such as @sweden on Twitter (a favorite of mine). His presentation is available here. We need both masculine & feminine traits in leadership. Feminine skills are the operating system of 21st century #leadership. “Today’s Corporate Culture Challenge: How We Can Promote Women’s Leadership” was moderated by Gloria Feldt (Women’s Leadership Speaker and Advocate) and included Anita Sands (UBS Wealth Management Americas), Joi Gordon (Dress for Success), and Charlotte Relyea (McKinsey). The main theme of this panel was ASK. Ask for what you want, ask for what you need. 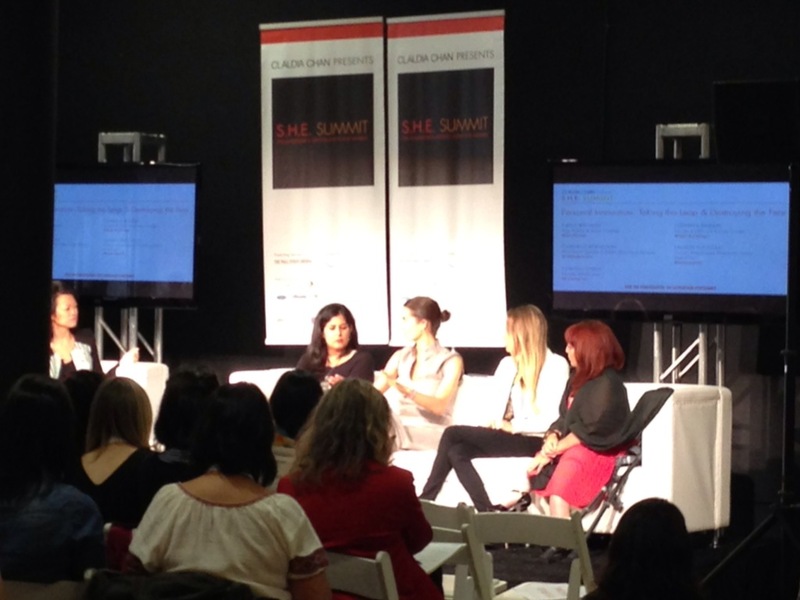 Panelists spoke about gender diversity in the corporate workplace and on boards of directors. 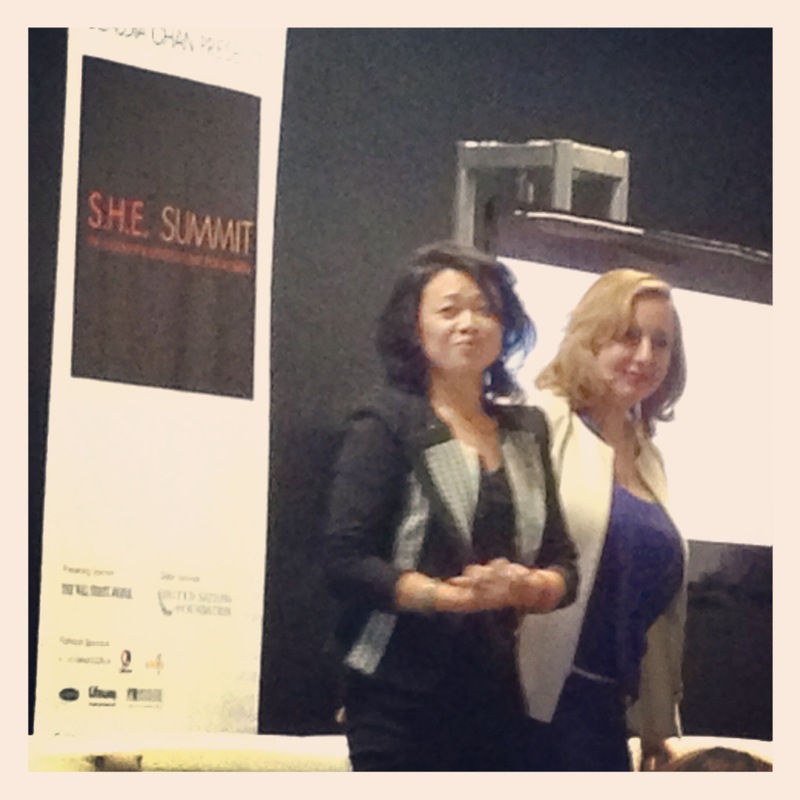 They touched on mentorship, sponsorship, workplace culture, and networking. How do you mute that little voice of self-doubt? Let others support you in your ups & downs. What is your achievement vs the amount of time you spend at your corporate desk? 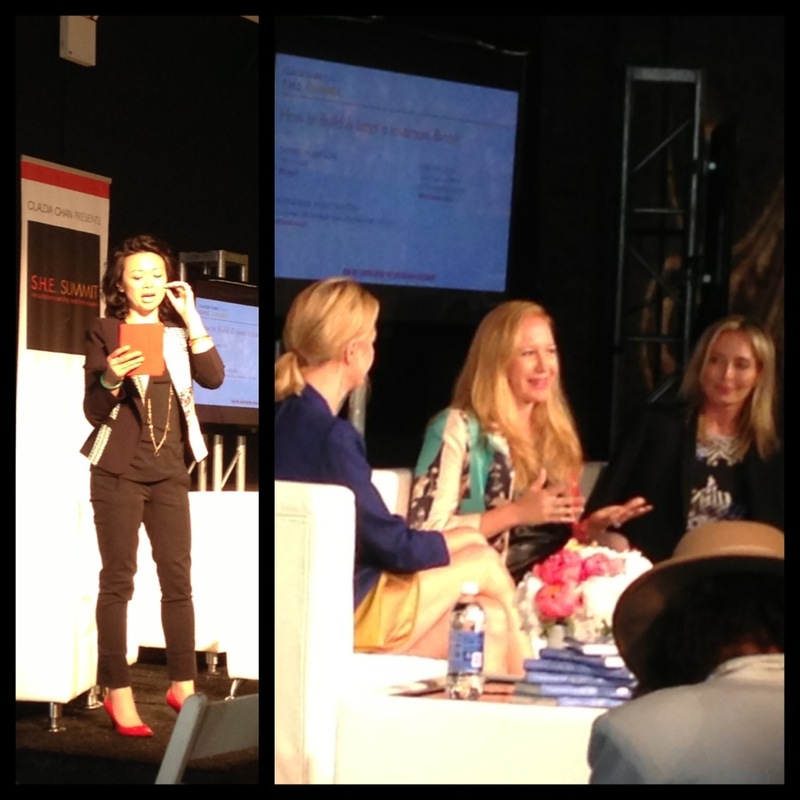 The next session was about “How to Build & Lead a Love-Mark Brand” with Lubov Azria (BCBGMAXAZRIA) and Alexandra Wilkis Wilson (Gilt Groupe), moderated by Sarah Thompson (Droga5). They talked about building a strong brand and the WHY behind it, trying new things and branching off into “sub-brands,” connecting to your purpose, and implementing new ideas. 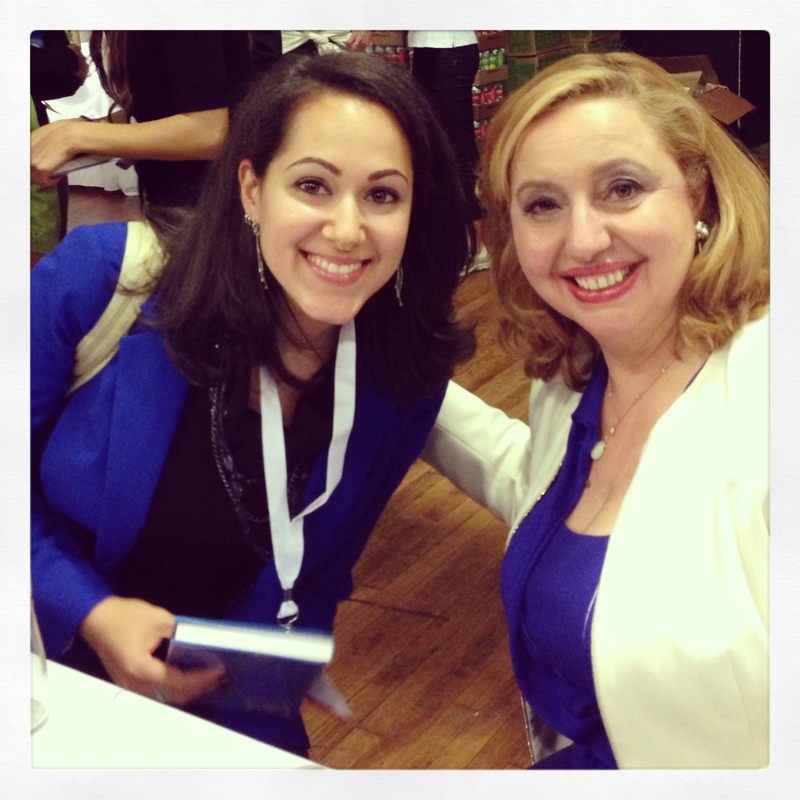 The final keynote was given by Agapi Stasstinopoulos, on “Unbinding Your Heart in Pursuit of Leadership.” She was fabulous, a very dynamic and engaging speaker. It came as no surprise that her background is in theater. She even performed a piece from Joan of Arc by Bernard Shaw as she described finding her voice on the NYC bus. During her time on stage, she spoke about fear and doubt, about how women are amazing and we don’t even know it, how we have to say what we want, stop holding back, and stay open no matter what happens. It was very inspiring and a great way to end the evening of speakers. Say what you want! Say what you need! Shake the doubts. Move with them. Dance it out. Move your body so you can move your soul. Step into your energy w/out being afraid of what people think of you. What ppl think of you is none of your business. Ask for help. Cycle of giving & receiving. It’s authentic. We are afraid of being rejected so we don’t ask. What happens if you have a dream and the dream isn’t happening? People would ask me, What do you do? I’m an actress. Where do you act? In my bedroom. I loved the stage. I couldn’t get to the stage. DON’T HOLD BACK. YOU. THERE. NOT THE ONE BEHIND YOU. YOU. DON’T HOLD BACK. @AgapiSays to a woman in audience. You’re exactly where you’re supposed to be in your life for your evolution. Just let go of what’s holding you back. How? Just let go. Then magic happens. You happen. Not everyone is going to fit in with you. That’s okay. Love them from afar. Bless them…over there. 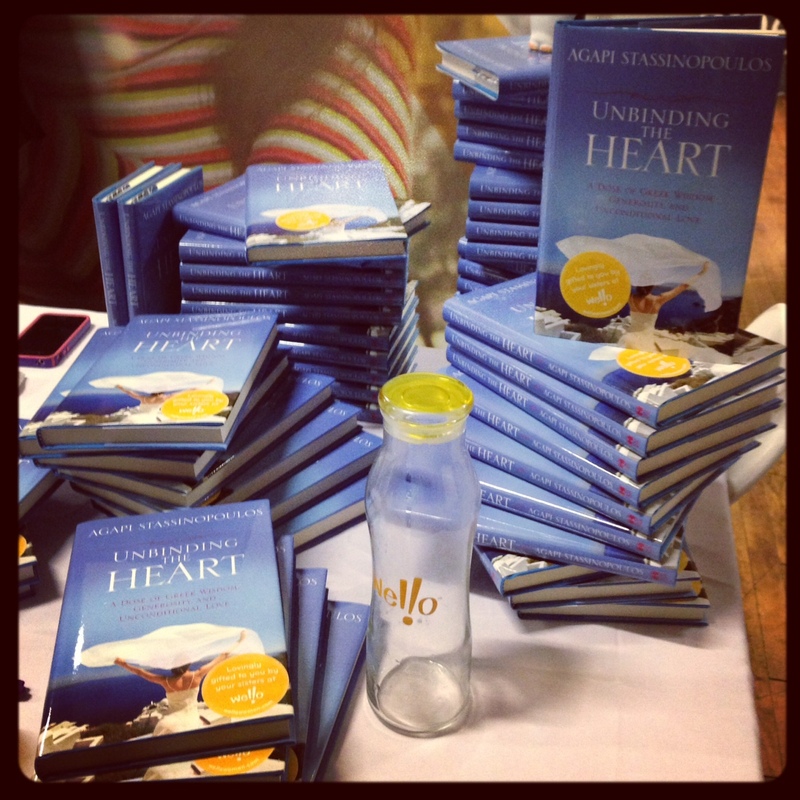 There is 1 choice in every moment to unbind the heart: Do I shut down or shrink? Or do I stay open NO MATTER WHAT? Stay open unconditionally and be a GO-GIVER not a go-getter, and things will open up. Synchronicity. Generosity. 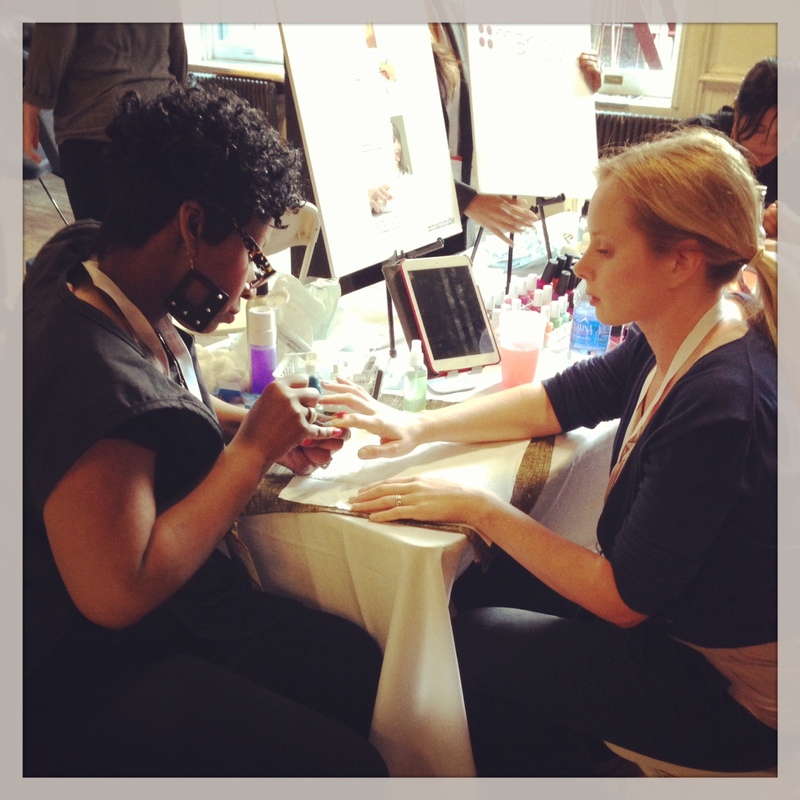 The conference was followed by applesauce-tinis, a Kefir frozen yogurt bar, a Luna bar vending machine, manicures (!!! 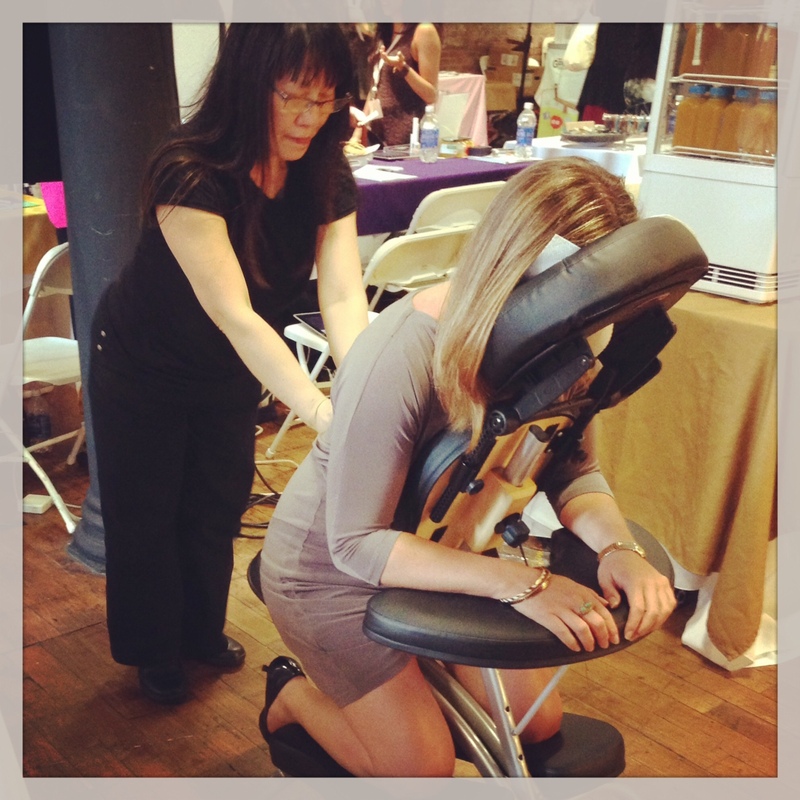 ), massages, and a book signing/dance party with Agapi and the ladies at Wello Water. I filmed a segment with Overture, who asked about my greatest female inspiration from when I was five years old. My answer? Wonder Woman, of course. Apparently, all but 5 women (out of the 90 who were filmed) answered someone other than mother or grandmother, and I was the 2nd person to say Wonder Woman! I’m so curious who the first person was! The guys doing the filming were really tickled by this. I’m a veteran convention-goer. My dad started taking me to comic book conventions when I was 7 (and film festivals since I was 3), and as I’ve gotten older that has transferred to a love of conferences, seminars, and talks. I just like going to events and learning new things. It turns out that once I got over being shy (i.e. worrying about what other people thought of me), I found that I’m really good at talking to people. My number one event rule is to bring food and water, so I arrived armed with two granola bars and a reusable bottle. That rule proved unnecessary at SHE Summit. They totally had us covered. Over the course of the day, attendees were supplied with snacks, beverages, caffeine, lunch, cocktails, and h’or doerves. There was a great selection, with sponsors such as Luna (power bars), Kefir (frozen yogurt pops), and Izze (carbonated juice). And there were lots of breaks between speakers, something I really appreciated. S.H.E. Summit also has some seriously good swag. 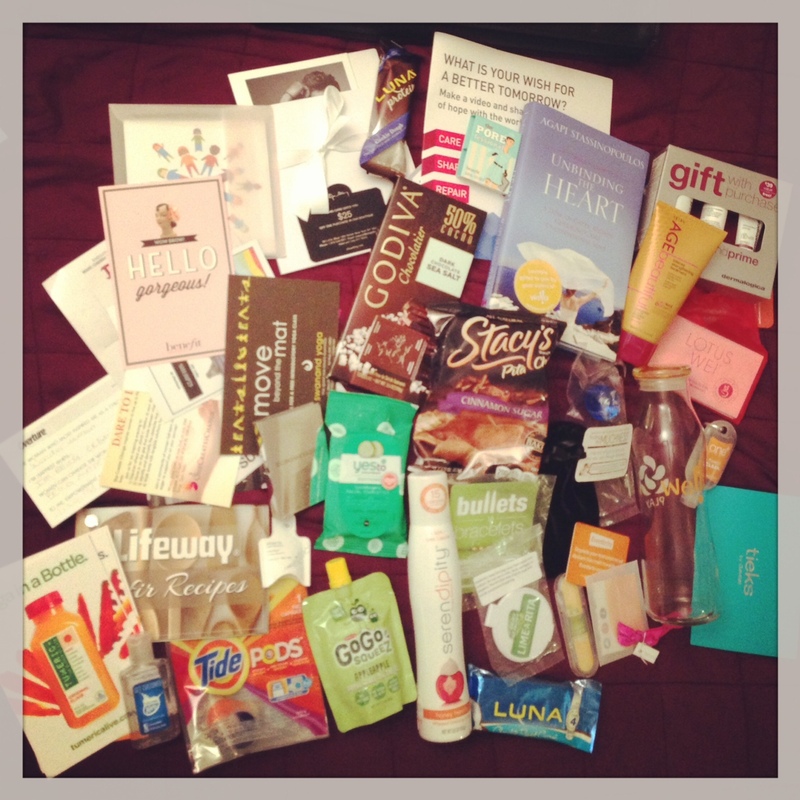 Everyone got a copy of Agapi Stassinopoulos’ book “Unbinding the Heart: A Dose of Greek Wisdom, Generosity, and Unconditional Love.” The swag bag contained coupons, gift cards, and lots of useful beauty and food items. I’m glad I decided to attend S.H.E. Summit this year. I learned a lot, met some cool women, and I’m looking forward to Day 2! Amazing summary of the day Alexis. I was there and did not catch all of this. Thank you, thank you, thank you!